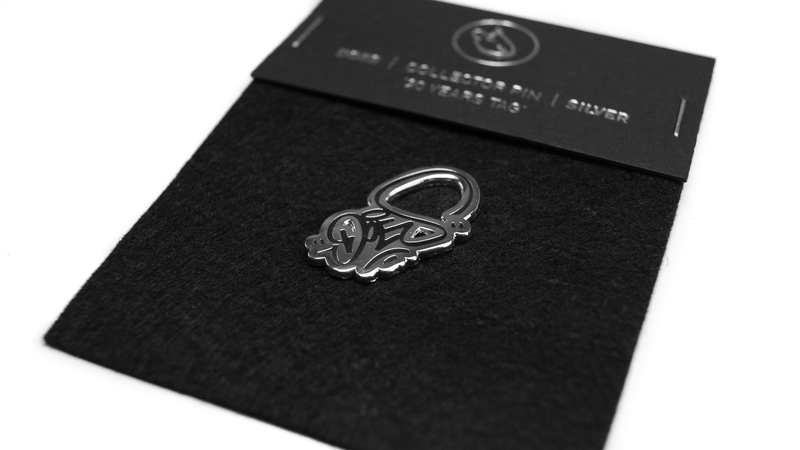 Limited edition high quality hard enamel silver colored pin. 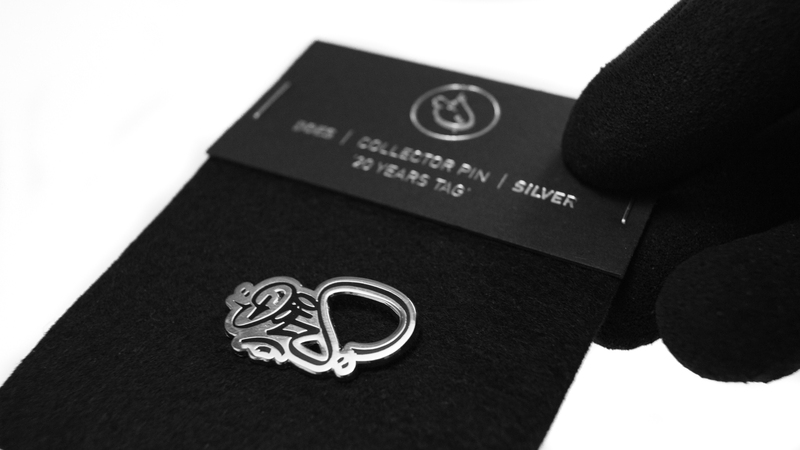 Silver version of the DOES '20 Years Tag' pin. 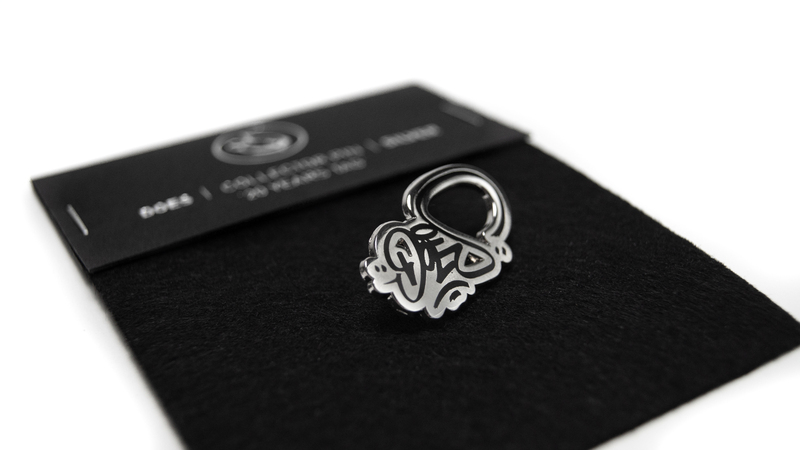 The 'Logo Drip' pin is part of the 'Triple Silver' deluxe box.